There will be five slabs of the Goods and Services Tax or GST - 0 per cent, 5 per cent, 18 per cent, 28 per cent. GST or Goods and Services Tax seeks to replace a slew of state and central taxes with one tax. 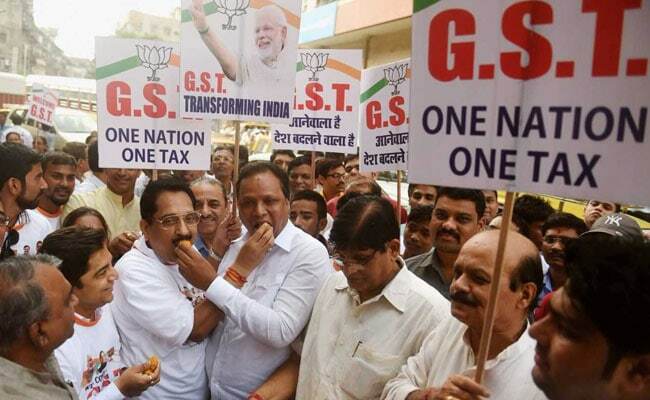 New Delhi: GST or the Goods and Services Tax, the long-awaited reform with the aim of transforming the nation of 1.2 billion people and its $2 trillion economy into a single market, was launched at midnight. The government promises the new regime will simplify trade by replacing more than a dozen levies with one tax, combat corruption and enrich state coffers by bringing the informal economy into the digital era. Most economists agree the reform is long overdue, but warn the initial shock to the economy is likely to drag, rather than stoke, growth in the short term as businesses adjust. 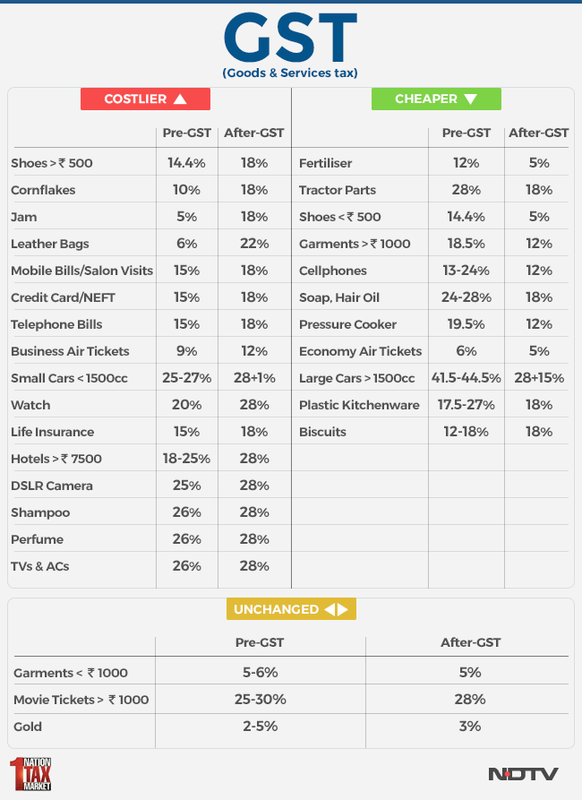 It took more than a decade to get the GST through parliament and bickering over the particulars now means there are four tax rates -- 5, 12, 18 and 28 percent -- instead of one as originally envisioned. The sweeping reforms comes less than a year after Prime Minister Narendra Modi withdrew India's largest banknotes in a sudden move designed to outmanoeuvre tax cheats.